It may seem counter-intuitive, but some of the same moves that professional boxers use to knock down their opponents in the ring are helping Parkinson's patients stay on their feet and fight some of the debilitating symptoms of their disease. The gym in Indianapolis is almost empty. The heavy punching bags and the smaller speed bags hang, waiting for the boxers to arrive. One has a habit of showing up early, eager to get in some extra work before the others arrive, before the coaches start barking out orders and the rigorous drills begin. The boxer is small, under five feet tall. A speed bag set at the right height is chosen, and the attack begins, fists batting the bag with precision and purpose, the boxer switching between right and left, honing reflexes and building strength. The boxer is Linda Porter, and she is training for the battle of her life: against Parkinson's disease. "I like hitting it as hard as I can," she says of her opponent. "It's, like, me or Parkinson's. I'm fighting to win." 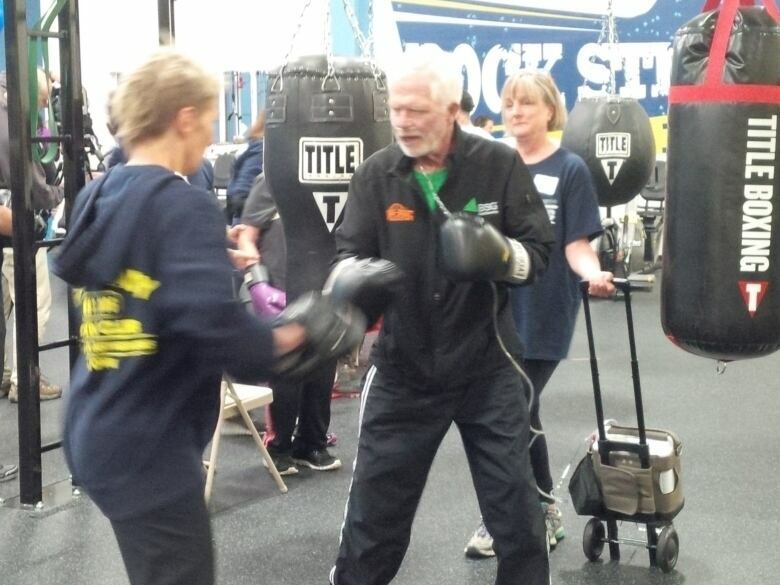 Porter, a 72-year-old grandmother diagnosed with Parkinson's two years ago, is one of hundreds of Americans who have signed up for Rock Steady Boxing. The program was started in Indianapolis in 2006 by Scott C. Newman, a former prosecutor who noticed that boxing was helping with some of the symptoms of his early-onset Parkinson's, a degenerative disease for which there is no cure. The training mimics the way fighters prepare, with the same equipment, including a human-looking dummy whose rubber jaw bends under heavy blows. But the participants never hit each other. Despite the frenzy of punches during every session, no boxer ever takes a hit. Parkinson's often manifests outwardly for the first time with a telltale tremor, although degeneration in the brain is thought to begin much earlier. As it progresses, it robs people of co-ordination, balance, strength and even the ability to speak clearly. Porter is convinced the boxing training helped reduced a significant tremor in her left hand to the point where it is barely noticeable. "I have to work harder at it," said Porter, hitting the speed bag with her left. "But it's so much better than when I started." Experts say any exercise regimen can benefit people with Parkinson's. "What happens in Parkinson's is you lose cells that make dopamine, and that lack of dopamine mediates some of the symptoms, so it's thought that exercise somehow affects dopamine receptors. It may increase them ... [or make them] more receptive to the dopamine that's being released," said Galit Kleiner-Fisman, a neurologist at Toronto's Baycrest Health Sciences and medical director of the Jeff and Diane Ross Movement Disorders Clinic. 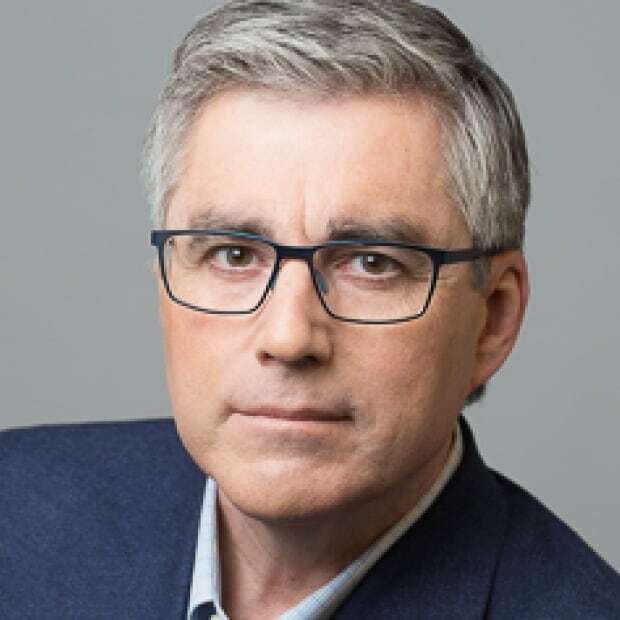 Kleiner-Fisman said a 2013 review of physiotherapy interventions in Parkinson's, including exercise, dance and martial arts, done by the Cochrane group "concluded there's good evidence to support exercise, but there's not good evidence yet to support which is the best exercise." But a researcher at the University of Indianapolis's Krannert School of Physical Therapy who studied the Rock Steady program over a two-year period, comparing the health of 45 people in the program to 38 Parkinson's patients doing other exercises, found the boxers seemed to do better. "It was so different than anything I'd ever seen before," said Stephanie Combs-Miller, who led the study, which is yet to be published. "They maintained a higher walking speed. They had better endurance, better balance, and I think the most surprising thing to me was they perceived a higher quality of life over that two-year period of time than people that engaged in other kinds of exercise." The boxing group also spent more time exercising than the other cohort, which might be part of the reason they had better outcomes, she said. The Rock Steady program is spreading rapidly, with close to 100 affiliates across the U.S. and one soon be opened in Canada. A gym in Toronto has trained boxing coaches in the Rock Steady system and expects to begin offering classes in April. "When people latch onto this, they find out about it, they hear about it, and they experience it, then you can just see the lights come on," said Mary Neilans, who will run the program in Toronto. "It's like, 'All right, it's not game over. There's something I can do.' And it makes a huge difference." There are different theories about why the regimen appears to work so well for people with Parkinson's. Boxing emphasizes balance, footwork, quick reactions and changes in direction, hand-eye co-ordination and aerobic training, all useful for people with Parkinson's. "There's a lot of things that make sense about it," said Kleiner-Fisman. "Everything in Parkinson's gets smaller … so the large, exaggerated movements are effective to overcome the slowness and rigidity." People with the disease have trouble not only controlling movement but also initiating it, and the counting out loud and rhythmic aspects of boxing training can help with the latter, she said. "People whose feet are frozen on the ground and they can't move them — if you tell them to march on the spot or count for them, it somehow helps them when there's this beat and rhythm," Kleiner-Fisman said. Morale, however, plays a huge role, too, as does the opportunity for social interaction. The gym, with upbeat music playing and energetic coaches encouraging every boxer, regardless of skill level, builds confidence and motivates people who could easily slide into depression and isolation, common problems for people living with Parkinson's. "At least 50 per cent of the success of Rock Steady is the camaraderie that's built in the gym," said Joyce Johnson, the program's executive director. "Everybody is fighting back against the same opponent, Parkinson's disease." Many people, having watched famous U.S. boxer Muhammad Ali publicly suffer from Parkinson's, assume the disease can be caused by boxing. The link between head trauma and Parkinson's is being investigated, but genetics and pesticide exposure are also being scrutinized as possible contributing factors. In the classes in Indianapolis, participants have little doubt boxing training can help people living with the disease. During one session, the coach, wearing punch mitts, the boxing equivalent of catcher's gloves, challenged a 71-year-old man in the class to an exercise. "Give me a one-two," the coach demanded, the first of many orders. The man, wearing a black Rock Steady jacket with the words "Kid Canuck" embroidered on the front, threw the punches. The trainer was forced to back up to cope with the force of the blows. The boxer, Canadian Doug Wittich, 71, lives in the Indianapolis area. He has been living with Parkinson's for nine years, his body sometimes racked with tremors. But he comes to the gym every week ready to fight. "The feeling that it gives you... I hated exercise. I can't wait to come to this now," Wittich said. "Trainers here are so fantastic. Whether you are in a wheelchair or you're running, you are treated equally." The program's ability to keep people coming back is key for Parkinson's patients, who struggle with implicit memory and have to keep relearning certain tasks that others do without thinking, says Alfonso Fasano, staff neurologist at the Movement Disorders Centre at the Toronto Western Hospital. "People with Parkinson's have to think about what they are doing all the time," he said. "This is why it's important to do whatever exercise it is on a regular basis. This is why it's important to do something that is fun, interactive and engaging, because this way, the patient is motivated to go." Fasano says the fact that regular exercise has been shown to reduce the risk of developing degenerative diseases like Parkinson's suggests it can likely slow the progression of Parkinson's in people who already have it, although that has yet to be proven. During a session at the Rock Steady gym in Indianapolis, a cane lies discarded on the floor while its owner pummels a punching bag. Another boxer throws punches while hooked up to a portable oxygen supply. The program is run on a non-profit basis. A 90-minute class at the gym in Indianapolis costs about $5 US. Trainers include everyone from boxers to nurses to individuals whose loved ones are affected by Parkinson's. In a quiet moment in her office, Johnson says she was drawn to work at Rock Steady by the memory of her mother, who had Parkinson's. "I watched the way Parkinson's stole her life," she said, softly. "Whatever I can do to keep that from happening to other people is why I am here." When asked about the day she was first diagnosed, Porter can't help but cry. "It was so scary," she said. "I was just stunned. I just broke down." She also lost hope. "I thought, 'Gee, all I'm going to do is get worse now,'" she said. "'My life has no value.'" But the boxing program has given her hope and purpose. "You can't stop it entirely, but I think this will make a big difference," she said between punches. "It just totally takes away your fear of having Parkinson's disease. I don't fear it at all anymore. I don't like it, but I don't fear it."